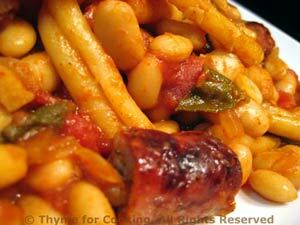 Pasta with Sausage, Sage and Beans, Healthy Weekly Menu Plan. This has been a reliable, midweek dinner at our house for years. It's fast, warming, a bit spicy... perfect for winter evenings.